Edward Enninful as Editor of British Vogue: Can We Expect Change? After what feels like an eternity of waiting, British Vogue has today announced that Edward Enninful will take the helm at the title after Alexandra Shulman’s departure later this year. Chief Executive of Condé Nast, Jonathan Newhouse, cited not only Enninful’s editorial work as a reason for the appointment, but also the fact that he is ‘an adept practitioner of video and a widely-followed presence on social media.’ He added that Enninful is ‘considered to be an influential figure in the communities of fashion, Hollywood and music, which shape the cultural zeitgeist.’ So does this mean that British Vogue is going to go through a 21st century change? It certainly seems that way. Although the magazine is most definitely moving with the times – it has a great social media presence with over two million followers on Instagram alone – its presence can seem somewhat static compared to some other titles and brands out there. Looking at its Instagram feed, there are very few original Vogue videos and certainly nothing that comes to mind as having gone viral. Compare that with W magazine’s presence (W magazine being the title Enninful is currently at, in the capacity of Creative and Fashion Director), with its 2.6million Instagram followers and regular innovative features; who can forget the recent #Iamanimmigrant campaign, in response to the US immigration ban, which featured over 80 influential fashion figures and generated just short of 51,000 views, 11,000 likes and almost 10,000 uses of the hashtag? 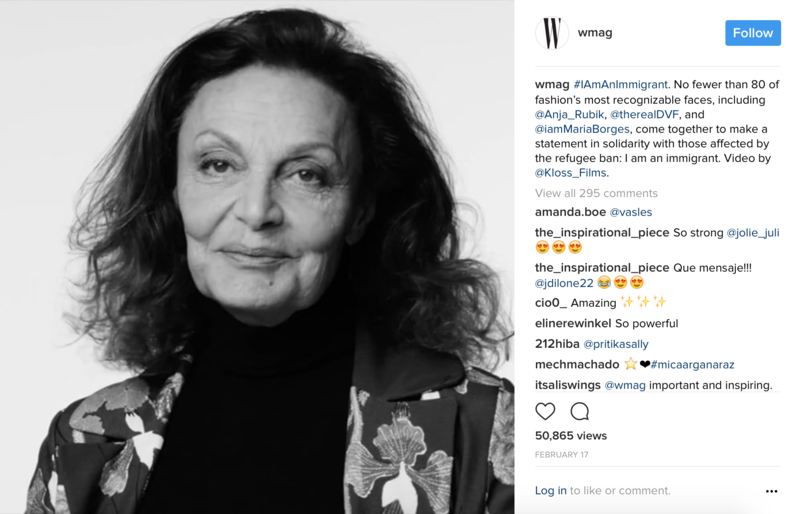 Enninful also curated a similar video for International Women’s Day, featuring 62 fashion figures, from Kendall Jenner to Carine Roitfeld. So is it this modern day approach that has secured Enninful the most coveted job in fashion and are we about to see big changes in British Vogue? For now, we can only speculate, and although we love Vogue as it is and will miss Alexandra Shulman immeasurably, we can’t wait to see what the future holds.